L & A Cotton Heavy Haulage Ltd specialises in the transportation of over-weight and over-dimensional loads. We have four transporters capable of shifting all kinds of machinery. This enables us to offer a comprehensive service throughout the country for the relocation of equipment as necessary. Based in Nelson at the top of the South Island, the company services the whole of New Zealand, and can transport loads of up to a nett weight of 72T (108T gross). With many years of experience in specialised cartage, the crew at Cottons can assure you of professional and efficient movement - whether you have a house, boat, vehicle or machinery to get from one place to another. Beams, houses or other different loads to be shifted? We have a fleet to best fit the purpose of different loads including a tromboning house trailer and dolly axles. This now is a time saving and cost effective advantage than previous load movements. Owner/operators, Lynn and Ann Cotton, have been in the heavy haulage business since 1998 when they purchased TNL Freighting’s Heavy Haulage operation. 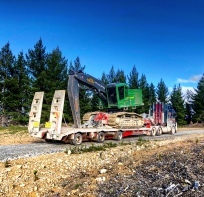 Prior to this, Lynn had been an owner-operator in the forestry transport industry for twenty-four years, so has a wealth of experience to call upon for those difficult moves of over dimensional machinery. He is also a qualified automotive engineer so very capably leads our in-house maintenance programme. Their son Leith is one of the full time heavy haulage drivers, which he has been doing for 15 years so has a large amount of knowledge and experience in this field. We have two other very capable and experienced drivers also on our team to cater to everyones needs. 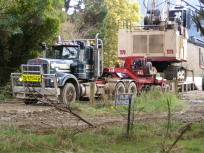 Planners work closely with Transit New Zealand, local body engineers and utility providers to obtain permits for all heavy haulage projects. We operate our own certified pilot vehicles to ensure trouble-free transit with over-dimensional loads, and our staff includes Class 1 and Class 2 pilots. 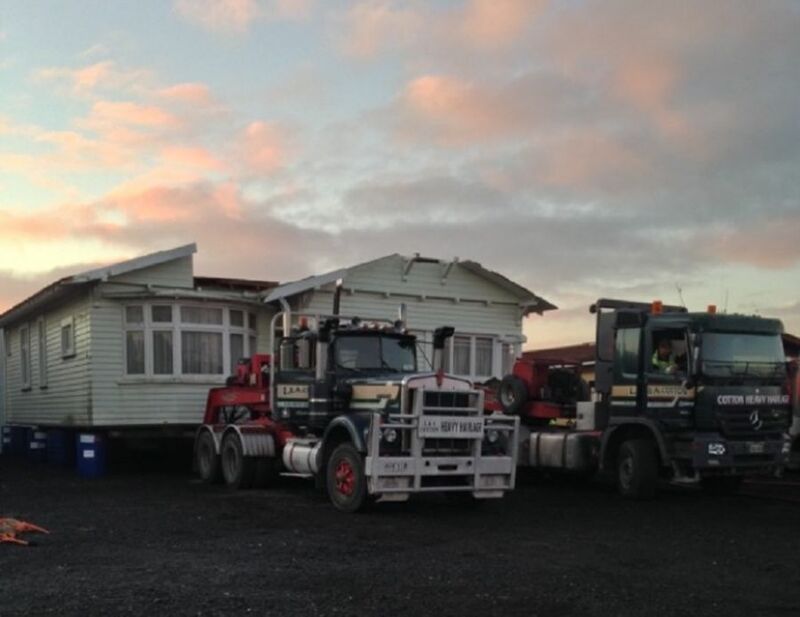 All of our drivers are comprehensively trained in heavy haulage and hold NZQA qualifications in bridge engineering self supervision (BESS), allowing them to cost-effectively move plant and equipment without the disruption often caused by having to wait for external supervisors at every bridge and crossing. Consult with us today to discuss your requirements for over-dimensional and/or over-weight loads, and be assured of the best results during navigating over, around, under or through narrow roads, overpasses, bridges and power lines.